DropIt is a Free and Portable Drag and Drop File Organizer created by lupopensuite. This drag and drop file organizing utility consist of a drop target that sits on your desktop. As you drop files onto the target, the files are sorted by file type and placed into the destination folder of choice. 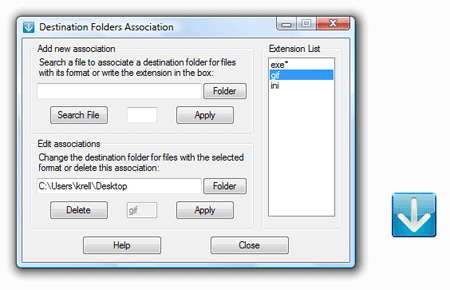 Destination folders can be set for each file association type and for folders if the active association for folders feature is enabled.